It’s official: To a sold-out crowd at Google Cloud Next ’19 today, we’ve formally announced a new strategic partnership with Google Cloud that delivers Neo4j as a fully managed service deeply integrated with the Google Cloud Platform. Now every GCP user has access to graph superpowers – without having to worry about operations and management – enabling them to focus on what they care about most: building applications in the cloud. // Read our official Neo4j for Google Cloud press release or check out our information hub to find out more. So what’s behind this partnership? Let’s look at the bigger picture. Google became the company they are today thanks to graph technology. AltaVista dominated the early days of web search because they delivered more results than the competition (and there were a lot of search engines in those days), but they couldn’t determine relevance or quality, i.e., the AltaVista Effect. Google’s epiphany was that data in isolation wasn’t enough – no matter the speed or volume of that data. Connections were equally, if not more, valuable. Connections determined relevance, so they reimagined the web as a graph of nodes (web pages) and relationships (links). And if the web was a graph, it could be ranked by a graph algorithm. Cue PageRank: The graph algorithm that transformed the web. 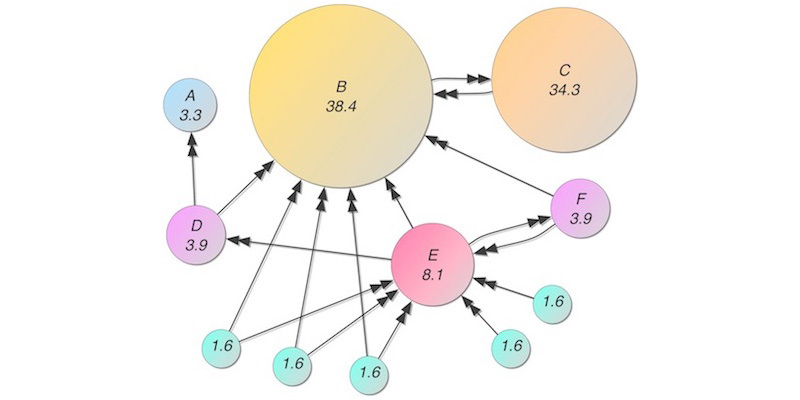 PageRank allowed Google to prioritize results better than anyone else by sorting web pages according to their linked importance in the network. An example PageRank-weighted graph dataset. The largest nodes have the most important connections according to the algorithm. Google gives you millions more results than AltaVista ever did, but their emphasis on relevance through connections means you hardly ever look past page one results. Google won the web with graphs. The good news is that you don’t have to be Google to make substantial, lasting gains in your industry. Over the last decade, we’ve built the Neo4j Graph Platform, which puts connected-data power into the hands of every developer – straight out of the box. And it’s open source. The Neo4j graph database lets developers query massively connected data with blazing speed. Need to connect five, six or seven hops across your dataset? No problem. Unlike relational or document databases, Neo4j’s index-free adjacency means that query speed is constant – even if, like some of our enterprise customers, you’re making 20 hops or more. Developers from startups like Medium and Lending Club to unicorns like Airbnb and Lyft, to traditional enterprises like Walmart and UBS, have all found value in how Neo4j rises to connected data challenges better than any other toolset on the market. Now Google wants to make the power of graph technology – the power that created their own success in the first place – available to its massive customer base through GCP. Neo4j for Google Cloud is a tightly integrated, cloud-optimized, fully managed service that makes it simple to use Neo4j in a cloud environment. Neo4j for Google Cloud is native to Google Cloud Platform and specifically engineered on Kubernetes. We chose Kubernetes as our orchestration framework for our DBaaS and then chose GCP as both the inventor of Kubernetes and the company with the world’s best managed Kubernetes service. Native to Google Cloud means that it will be integrated into the GCP console navigation and billing flow that GCP users expect, with no extra worries. Partnering with Google Cloud also translates into enterprise-grade reliability and speed. Customers get the best of Neo4j on the best network and data infrastructure in the world. Several of our enterprise customers deploy and manage Neo4j on Google Cloud Platform today. Many have asked us for a tightly integrated, managed service to ease deployment, operations, billing and support. 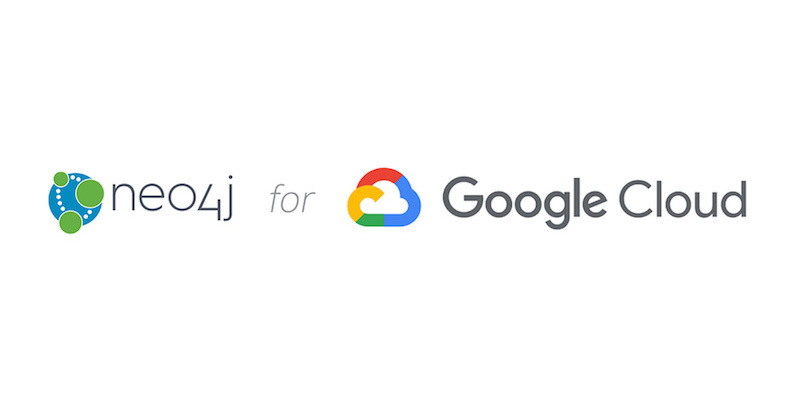 With this partnership, Neo4j and Google Cloud will deliver a native experience to accelerate time-to-value for enterprises and their developers. Our team has already worked extensively with Google to integrate Neo4j into Google Cloud, and we plan to make this offering publicly available by the end of 2019. Google won their market with graph technology. Now they’re offering the Neo4j graph database on Google Cloud Platform – making it more accessible and easier to deploy for everyone. Bottom line: We couldn’t have picked a better partner, and we’re excited to see what’s next. 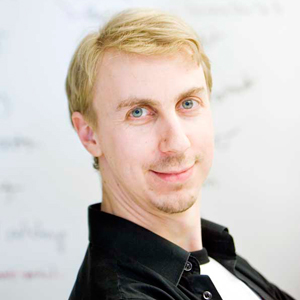 Emil Eifrem , CEO & Co-Founder, Neo4j, Inc.
Emil Eifrem sketched what today is known as the property graph model on a flight to Mumbai in 2000. As the CEO and Co-Founder of Neo4j and a co-author of the O’Reilly book Graph Databases, he’s devoted his professional life to building and evangelizing graph databases. Committed to sustainable open source, Emil guides Neo4j along a balanced path between free availability and commercial reliability. He plans to save the world with graphs and own Larry’s yacht by the end of the decade. Emil tweets at @emileifrem.